Indeterminate. Regular leaf. 80 days. A sibling line to Siberian Tiger. Medium size, brilliant yellow fruits with antho striping. A bit more acidic than other yellow tomatoes. A real show stopper! Order early. These will go fast. Mark McCaslin of Artisan Seeds was generous in letting us offer another one of his extraordinary creations and we are honered to offer this one to our customers. Indeterminate. Regular leaf. 80 days. A sibling line to Siberian Tiger. 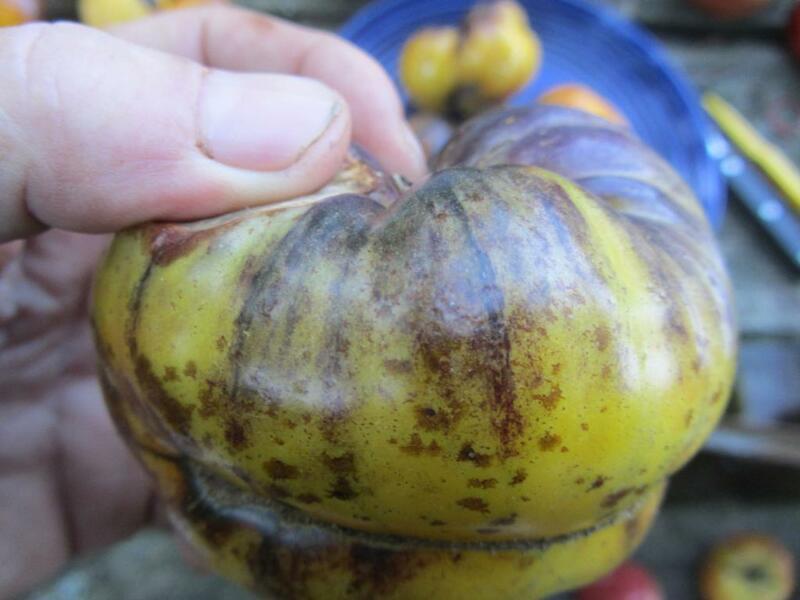 Medium size, brilliant yellow fruits with antho striping. A bit more acidic than other yellow tomatoes. A real show stopper! Order early. These will go fast. Mark McCaslin of Artisan Seeds was generous in letting us offer another one of his extraordinary creations and we are honered to offer this one to our customers. *** Limit one per customer. * Open pollinated cross.